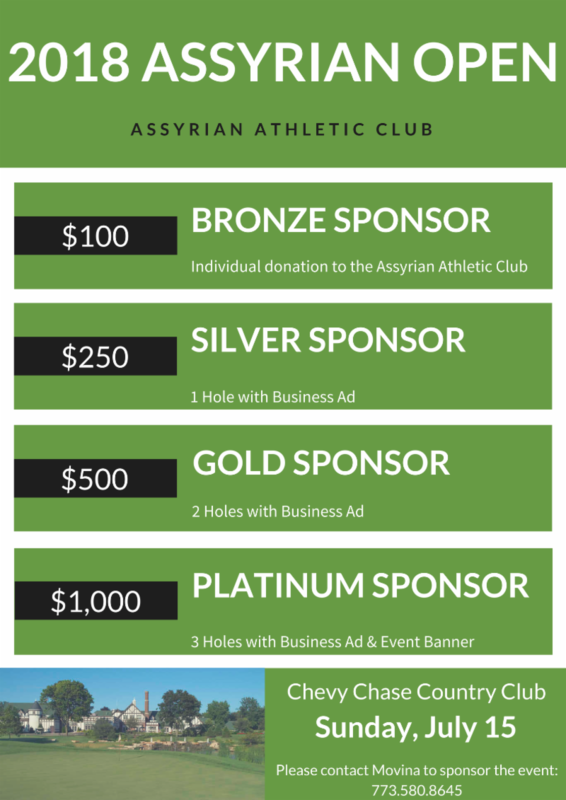 sponsoring the 5th Annual Assyrian Open Golf Outing! Assyrian Basketball League, Softball, and more. please reply if you’d like to make an individual donation or advertise your business!